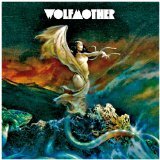 Wolfmother is ranked as the best album by Wolfmother. Members who like this album also like: Elephant by The White Stripes, Kid A by Radiohead and Whatever People Say I Am, That's What I'm Not by Arctic Monkeys. Related links: top tracks by Wolfmothertop tracks of the 2000s, top tracks of 2005. Showing latest 5 ratings for this album. | Show all 326 ratings for this album. Related links: top albums of the 2000s, top albums of 2005. Great debut and throwback to 70s hard rock, wearing their Black Sabbath influences on their sleeves. I don't get where all the hate comes from. step 1: THROW YOUR S*&^%* EARBUDS AND IPHONE IN THE GARBAGE. step 2: BUY TOWER SPEAKERS, A MIXER, AND A RECORD PLAYER. step 3: TURN THE VOLUME UP TO MAX. enjoy your newfound appreciation for bands like kiss, ac/dc, wolfmother, and every other "standard hard rock" act that you've dismissed after listening with earbuds while lying around or walking/driving somewhere. there's definitely a time and a place for music like this and it's not the same as for more artistic/creative stuff. you're welcome. Feels like a record from the 1970s. Not *inspired by* the 70s, but actually *from* the 70s. It's pretty good, if a little gratuitous at times. Great production quality, not one bad song and a flute solo during "Witchcraft". Maybe one of the best debut albums of all time. Awesome hard rock album. Some of the songs aren't too memorable, but there's also a few songs that are really great and fun to listen to. It sounds a lot like Black Sabbath, Led Zeppelin, and other 70s and 80s hard rock bands mixed with modern bands like The White Stripes. There's a lot of great riffs here, and I think it's a really underrated debut.